This post is sponsored by Hipmunk’s Hotels series. Hipmunk.com is a budget travel service, which I'm all about, so I'm thrilled to write for them and hope you find it useful! If you know me well, you know that my dad grew up in Chicago and that we are pretty big Chicago Bears fans. We spent several summers going on the occasional 10-hour road trip to the Windy City, mostly to indulge in deep dish pizza, watch the Bears' training camp, and enjoy the fun of downtown areas like the Magnificent Mile and Navy Pier. Now that I'm older, I'm sad to say that I haven't made a return trip to Chicago since around 2008. My heart and my stomach are longing to fit one in within the next few months. Of course, planning any good trip involves checking out and drooling over lots of awesome hotels. Here are my hotel picks for the perfect Chicago getaway in the heart of downtown and for any budget! We stayed in a hostel for one night on our trip to London. Honestly, it wasn't anywhere near as scary as I expected. We really were only there to sleep, so it wasn't so bad. 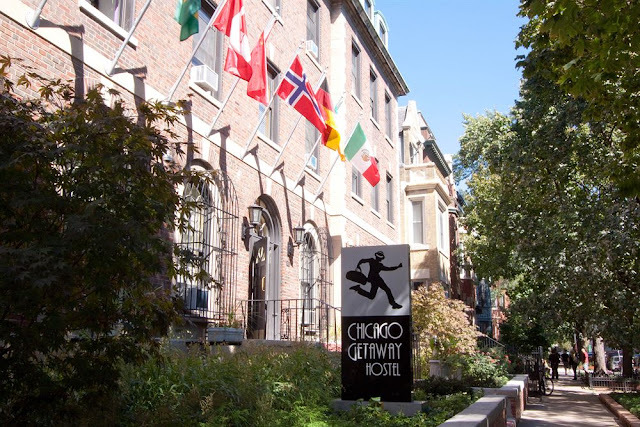 A stay at the Chicago Getaway Hostel starts at only $30 a night, and it puts you right in the heart of the action. With laundry, ironing boards, and clean bathrooms, it's a safe choice. If you're looking for a cheap stay and some adventure, this is the perfect place. If you're looking for a mid-range hotel within walking access to nearly all of Chicago, then the Millennium Knickerbocker is an excellent option. Although it's located a little farther north, you're still close enough to walk to many local attractions, including shopping and dining favorites near Water Tower Place and Michigan Avenue. You can also get to the Riverwalk in a hurry, and you can expect clean, well-kept, stylish rooms with a good night's sleep. 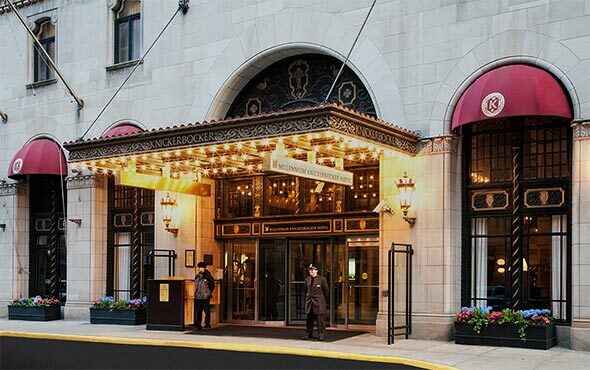 The Hotel Monaco Chicago, a Kimpton Hotel, is located in the Downtown Loop, and it's an excellent option if you're looking to visit Millennium Park, the Riverwalk, and Willis Tower. If you're a pet lover, the hotel even lets your dog or other small animals stay for free. You'll have easy access to all of the city here, along with ornate rooms and excellent service. You can often find this hotel on special for around $150 a night, which is a steal. 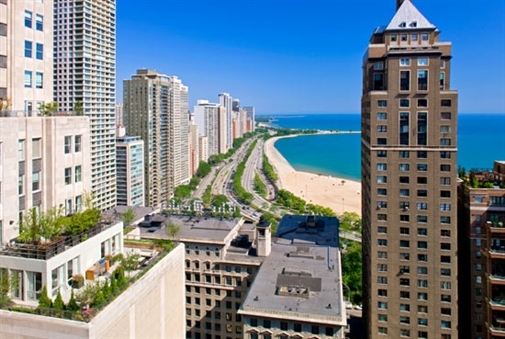 Although it's priced a little higher, The Westin Michigan Avenue Chicago offers a great location on the Magnificent Mile, and it's also quite close to Lake Michigan. Navy Pier and Wrigley Field are both close, and you can reach both by public transportation. You can also expect high quality and excellent views of the beautiful water. Overall, you can't go wrong with any of these hotels for your downtown Chicago stay. So long as you've got walking access to the El (Elevated Metro Train System), you'll be able to do some damage and see all of the city with ease. Be sure to hit up Giordano's, which is my personal favorite, and spend an evening on the water at Navy Pier. Cheers to Chicago! Hopefully we'll be able to share more about a trip soon! 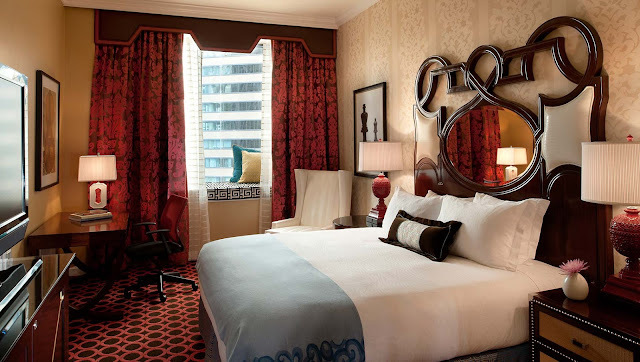 I've stayed at Hotel Monaco and LOVED it! I'm actually planning a trip to Chicago so this post came at a perfect time! Oh awesome!! I'm so glad it was timely! Great suggestions! Chicago is such a fun city! That Westin has the most beautiful view! I've always wanted to visit Chicago so I'll have to keep these places in mind. Isn't it gorgeous? Chicago is so fun! So happy to have come across this post! My sister and I are planning a Chicago adventure and accommodations were one of our biggest concerns in terms of expenses. This is so helpful! Yay! I'm so glad!! Hotels are always the hardest. We used to live a few hours' drive from Chicago and went there pretty regularly! Once we used AirBnB to book a studio apartment just off the Magnificent Mile and and it was a perfect place to stay! Of course these hotels look pretty cool, too! That's awesome! Airbnb is great! Awesome recommendations! I'm planning a girl's trip there in a couple months, so these are great ideas. Love Chicago! Thanks so much, Shann! Enjoy!